We can deal with all of your central heating and boiler needs from installation of a complete system to additional radiators or leaking radiators – from a new boiler to a boiler repair or service – contact Beccles Plumbing and Heating first. 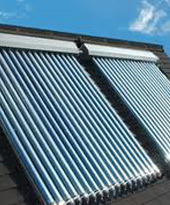 We can carry out all types of central heating repairs quickly and efficiently including boiler breakdowns and repairs, boiler fault finding and diagnostic solutions, radiator repairs and burst or frozen pipes. 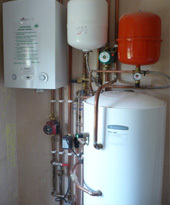 We can install or reposition all types of boilers including, condensing boilers, non condensing boilers, combination boilers, water heaters and gas system boilers and are conversant with combi boiler conversions. 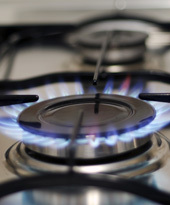 We specialise in the installation and servicing of all gas appliances, boilers and central heating systems for private domestic properties and also for Landlords. Regardless of whether your appliances, boilers, or heating systems run on Natural Gas, oil or LPG, we are here to help – just a phone call away. 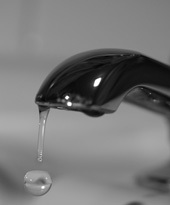 Whatever your emergency may be, from pipe bursts or leaks, loss of heating to blocked drain, sink or toilet we will get to you when we say we will – we will diagnose and deal with the problem with the minimum of fuss, in the shortest time possible and with little disruption to you or your family. All Landlords must be able to provide their tenants with an up-to-date Gas Safety record, and by law, must have all gas appliances serviced regularly, by a Gas Safe registered engineer who is qualified to provide a Gas Safety record upon completion of the check. 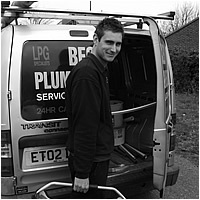 Beccles Plumbing and Heating can offer Landlords a complete package by undertaking inspections and servicing, and if required, will offer reminders and make arrangements with your tenants if preferred. Our professional team are fully conversant with the latest regulations on Gas Safety and trained to ACS, CORGI and Gas Safe standards, are members of OFTEC (The Oil Fired Technical Association) and are LPG specialists. To learn about what other steps you should be taking to make sure that the property you let is gas safe – click this link.